Parole and probation are trapping former prisoners in debt, forcing them to work to avoid getting locked up. 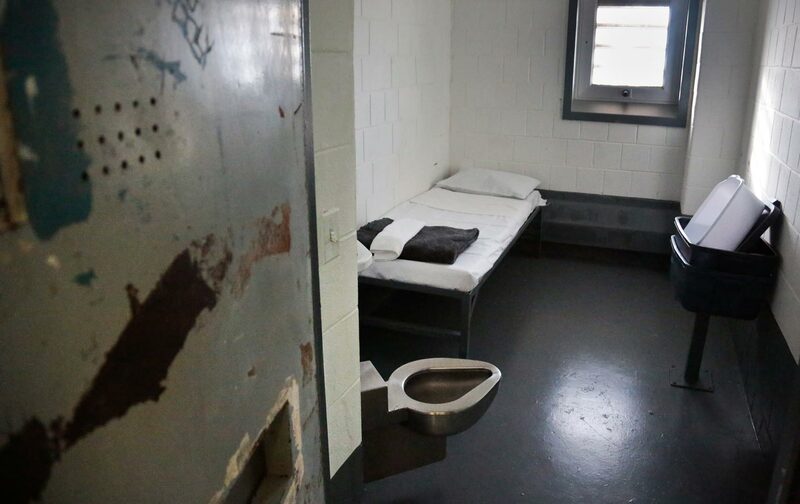 For many people, the lingering impact of a stint in jail extends far beyond the prison gates. In many cases, the financial consequences of a conviction can damn a person to an eternal financial purgatory. In a new report, researchers at the University of California, Los Angeles amningly map out how the criminal-justice system works to bury ostensibly “free” people under mountains of debt, forcing citizens who have already served their time in jail to continue laboring not for wages so much as for basic civil rights. First, probation and parole require participants to seek and maintain employment as part of a set of standard conditions.… Second, courts may demand that people work when they are too poor to pay criminal justice debts from the fines, fees, and restitution imposed by the criminal justice system. The link between state oppression and labor markets doesn’t mean all work requirements are necessarily “incarceration by another name.” It does, however, raise the question of whether the purpose of parole is to shift punishment toward a more cost-effective, less restrictive form of supervision—as many prison reformers argue—or to keep workers on a leash for as long as possible. UCLA researcher Noah Zatz likened this coerced labor to historical convict-leasing programs of the segregated South, or contemporary immigrant guestworker programs, in which a labor visa is premised on the support of a single sponsoring employer—a form of indenture suited to the global labor market. The problem goes well beyond prison facilities, since nearly 9,000 people are imprisoned for parole or probation violations on a given day. Though it is difficult to disentangle cause and effect, for an individual who must calculate the risks and benefits of every economic move as they seek to avoid the terrifying possibility of re-incarceration—many would rationally sacrifice some freedom of labor to preserve physical freedom—everything operates within a structure of state violence, with few safeguards against abuse. Of those incarcerated solely for violating probation or parole requirements to pay court-ordered debts, two-thirds reported full-time work, earning on average less than $1,000 per month. Among fathers incarcerated for failing to pay child support, 95 percent worked in the previous year and 85 percent lived in or near poverty. Moreover, these workers affect other poor workers, including those without a parole sentence hanging over their heads (even that could change quickly, especially if you happen to live in a heavily policed community). On the day-to-day workplace level, for a liminal, anxiety-wracked subset of workers, denied standard job protections and excluded from a union, losing a job could mean getting dragged back into prison. There could be rational policy solutions to these dilemmas. One might even argue that the state has an ethical duty to provide the reentry or parole population with basic job opportunities. In places where vocational education or “transitional” employment programs are used in lieu of incarceration, perhaps a rehabilitative job could be structured to provide labor protections, union rights, and other protections. But these provisions are (not surprisingly) easier to negotiate when you don’t have to worry about getting fired or put back in prison for talking back to your boss. In the debate over criminal-justice reform, lawmakers will have to weigh the relative social costs of different punishments. But to suggest parole is inherently more humane—that forced labor euphemized as “community service” is ennobling—is to ignore the psychological and social violence that the prison system imposes, even outside of prison walls. When economic citizenship is conditional, freedom is cheapened for every participant of the labor market, whether they’re trying to work off a punishing debt or just to keep up with the daily grind.